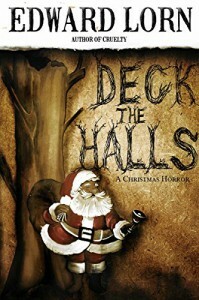 2nd part to the short story Christmas horror series. This sees Santa coming home to find his house and workshop in ruins, reindeer slaughtered and Mrs Claus missing. He decides to seek out help in the form of Krampus and together they devise to get revenge on the Naughties. Fun read that I enjoyed more than the first installment. The writing flowed better in this one and I now wish I had picked up the 3rd story whilst it was available.